Dr. Jennifer Pena had raised concerns about Jackson, concerning his medical treatment of Karen Pence last fall. Vice President Mike Pence's White House doctor, who raised concerns about disgraced White House physician Ronny Jackson, resigned Friday. Pence press secretary Alyssa Farah confirmed to NBC News that Dr. Jennifer Pena had informed the White House Medical Unit of her intention to resign. 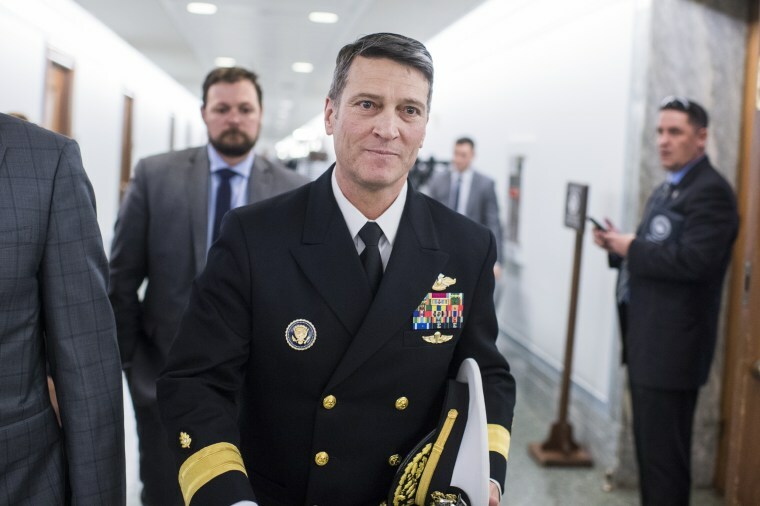 Pena had raised concerns about Jackson, who had been tapped by President Donald Trump to lead the Department of Veterans Affairs, involving his medical treatment of Pence's wife, Karen, last fall, officials told NBC News. Pena had reported the concerns to Pence's chief of staff who took the issues to Trump chief of staff John Kelly. Kelly said Pena should report the issue within her chain of command through the White House Medical Unit, but it is not clear if she did, officials told NBC News. Jackson had faced numerous allegations that upended his confirmation to lead the VA, including improperly prescribing medications, creating a toxic work environment and being intoxicated while on duty. Sen. Jon Tester, D-Mont., the top Democrat on the Senate Veterans Affairs Committee, said his office received several allegations about Jackson during the confirmation process, including a claim that he "got drunk and wrecked a government vehicle" at a Secret Service party. Tester's comments drew the ire of Trump, who continued to support Jackson and excoriated the Montana Democrat for airing the allegations, calling it "very dishonest and sick!" in a tweet. Jackson previously called the accusations against him "completely false and fabricated" before he withdrew his nomination in late April.